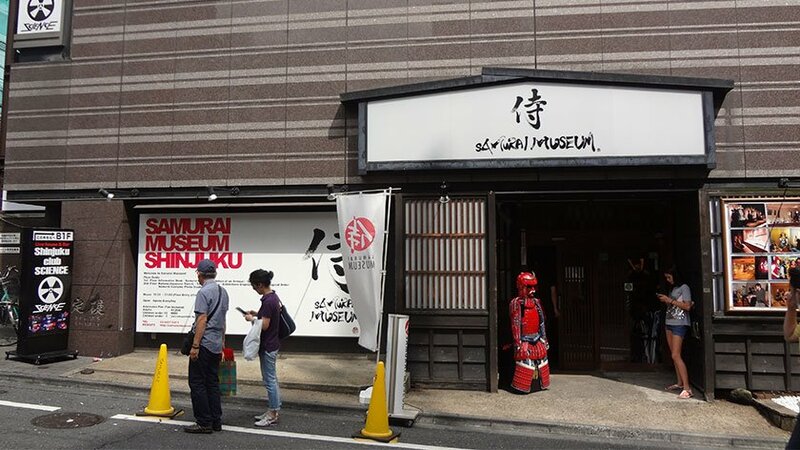 The Samurai Museum is a small but popular museum located in Shinjuku’s Kabukicho area. The museum offers a glimpse into the armor and weaponry used by the samurai through tours aimed at foreign visitors. Unfortunately, it is not very wheelchair accessible. 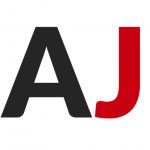 The Samurai Museum is located in Kabukicho and surrounded by many adult-themed businesses and pachinko parlors – not the typical neighbors of a museum. The museum itself is two stories of a building and houses 8 armor examples and a gift shop on the lower floor, and smaller exhibits including swords and guns on the second floor. It is possible to view the items on display by yourself, but the museum offers regular guided tours as part of the entrance fee. 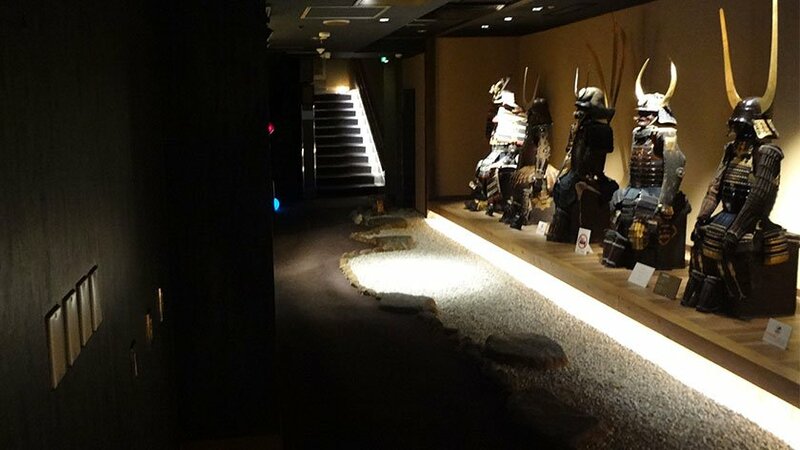 The Samurai Museum is about a 10 minute walk from Shinjuku station, or 5 minutes from Seibu Shinjuku station. Both stations are wheelchair accessible. While some parts of the museum can be viewed from a wheelchair, the vast majority of the museum is not wheelchair accessible. 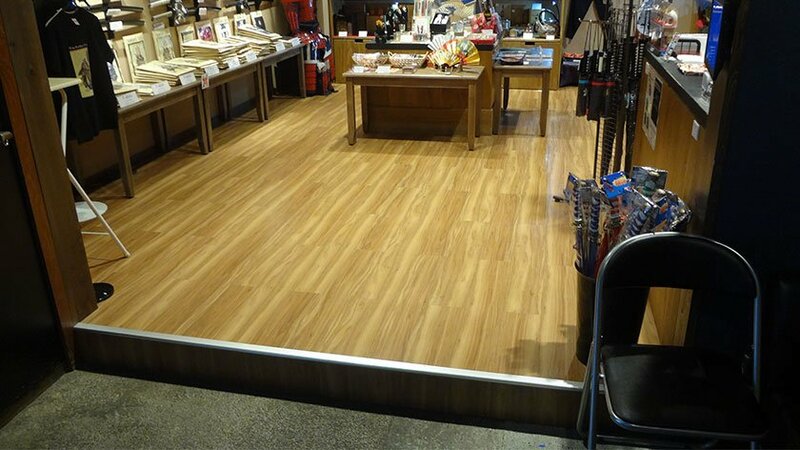 The first barrier to accessing the Samurai Museum is a curb outside the entrance. 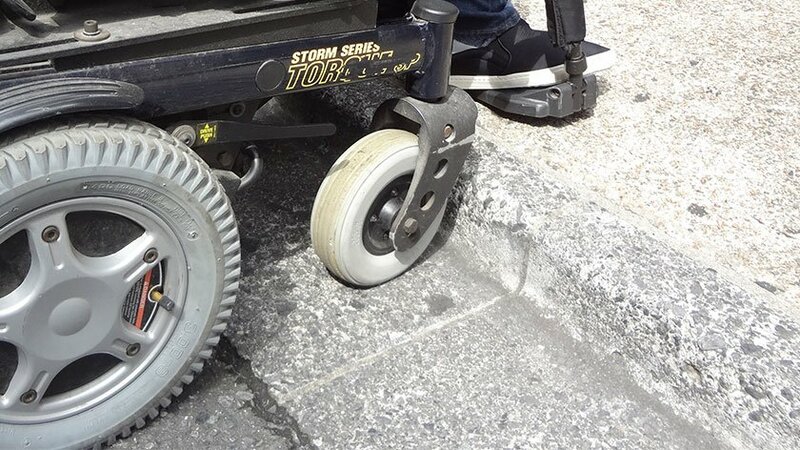 It is about 10cm but with the help of staff or companions, it is possible to get up the curb even with a power wheelchair. Entering the museum, there is a gift shop on the left. It has an even higher step and visitors with wheelchairs would need staff to bring items to the entrance if they are interested. After buying a ticket, wheelchair users will likely be asked to wait for a private tour (instead of the regular tours). The ground of the first floor is smooth, but there is gravel in front of the armor on display, making it impossible to get as close to the exhibits as other visitors. Since there are only 8 armor sets on the first floor, that part of the tour only lasts about 15-20 minutes. The regular route then leads visitors up a flight of stairs to the second floor. The building has an elevator but accessing it requires leaving the building and using a small flight of 3 steps. It is impossible for people using power wheelchairs. 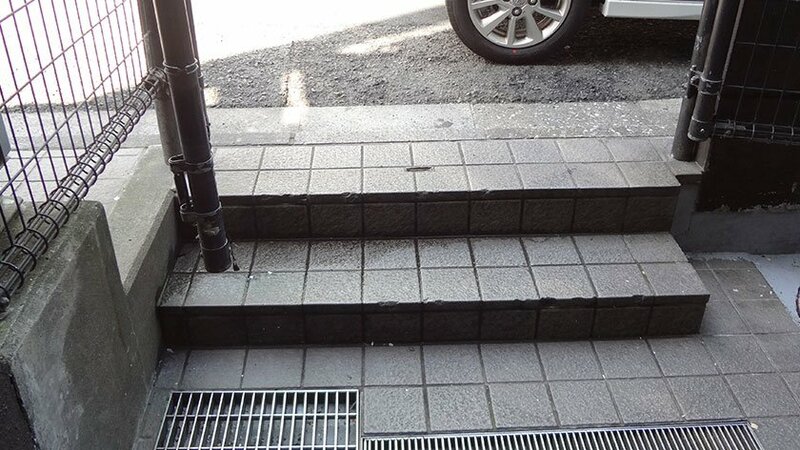 The staff will help people in manual wheelchairs over the steps, but even then, only 2 of the 7 rooms on the second floor can be accessed in a manual wheelchair due to tight corners and genkan steps into the rooms. Unfortunately, the shows and photo sessions are on the second floor. The toilets are not wheelchair accessible. While the staff have a genuine interest in helping, the building and design of the second floor is simply not wheelchair accessible. 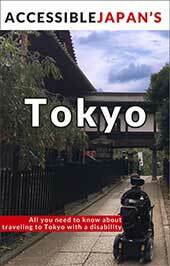 The tour is informative, but spending 1,800 yen for access to only a fraction of the museum is not worth it. 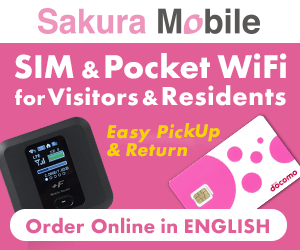 Instead, the Edo-Tokyo Museum and Tokyo National Museum offer much more content at lower prices, and are fully wheelchair accessible.